• Brookfield 11.30am 1st & 3rd Sunday of month. • Cheshire Grange – 2.30pm 1st & 3rd Sunday. • Keate House – 11.00am Monday after 1st Sunday. Any member of the congregation may raise their personal concerns with any member of the Pastoral Care Team (including hospital visits). Third person referrals (where someone raises a concern about someone else) may also be raised, but the Pastoral Care Team need to seek permission from the person referred that they are happy to accept a visit from the team. There is a high level of sensitivity and confidentiality in pastoral care, and the individual’s needs, desires and concerns need to be respected. Formal visits may only be undertaken by the trained Pastoral Care Team. There is already informal and valuable support between individual members of the congregation, but situations requiring significant and more detailed support must be undertaken by those trained within the Pastoral Care Team. Regardless of which member of the Pastoral Care Team is approached with a referral, co-ordination of all visits is via the Team Co-ordinator who will arrange for a member of the Pastoral Team to visit. The person taking the funeral / burial of ashes contacts the bereaved family afterwards as part of the usual pastoral follow up, but now the bereaved family will be asked if they would like a visit from the Pastoral Care Team. If they would like a visit the Team Co-ordinator will arrange for a member of the Pastoral Care Team to visit. 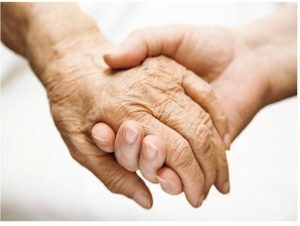 The Pastoral Care Team will respect the confidentiality of an individual’s needs. Although the congregation are genuinely concerned for one another, they are requested to respect the confidentiality within the Pastoral Team and that information cannot be shared. Co-ordination of all visits is via the Pastoral Team Co-ordinator who manages referrals and maintains a confidential log of visits. This log will comply with Data Protection (GDPR) legislation. The details of matters discussed at those visits are not recorded. Any concerns regarding Safeguarding (e.g. abuse of children or vulnerable adults) cannot remain confidential and further advice will be sought from St Mary’s Safeguarding Officer and the Rector. Sometimes we do not necessarily wish for a visit from the Pastoral Care Team but would like someone to pray for us. St Mary’s has a number of people in the congregation who confidentially pray for those in need. If you would like to be prayed for please contact Carole Riley 01925 752710.